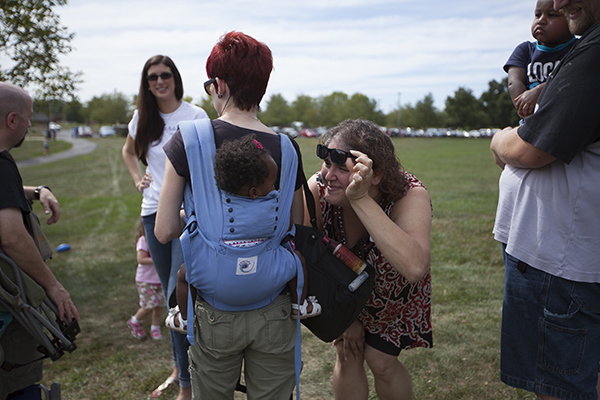 Last month, a number of our staff members traveled to Pennsylvania to attend our second Adoptive Family Picnic of the year. Nearly 200 people were in attendance, and our staff and families alike enjoyed getting together to celebrate adoption in their lives. Kathie, who was previously a Birth Parent Specialist, had the opportunity to meet a family who she’d assisted as a Birth Parent Specialist during their first adoption and as their Adoptive Family Specialist on their second adoption, bringing everything full circle. Seeing older kids with their adoptive families and how they interacted with each other was especially rewarding for Kathie. “I can tell the birth mother how well they’re doing, and it’s so much more than a letter could express,” she said. Kathie also enjoyed seeing families who begin the process with such sadness and devastation find peace in the child they’ve adopted. Adoptive Family Coordinator Mike Aguilar shared how inspiring it was to see everyone come together. But the highlight for everyone in attendance was definitely the kids. Kathie overheard one girl say, Mommy, are all these other kids just like me? Another little girl’s main goal was to make new friends who were adopted. And when she did meet another girl around her age, they were instant friends! “It was one of the coolest things I’ve experienced in the six years I’ve been working here,” Kathie said. 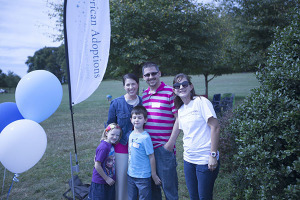 To learn more about Adoptive Family Picnics, watch the video below from our Kansas City Picnic in June. Below you’ll find information for our final Adoptive Family Picnic in 2014. And stay tuned for more events next spring! We still have one more picnic this year: Orlando, Florida on November 15th. Visit our site to learn more!